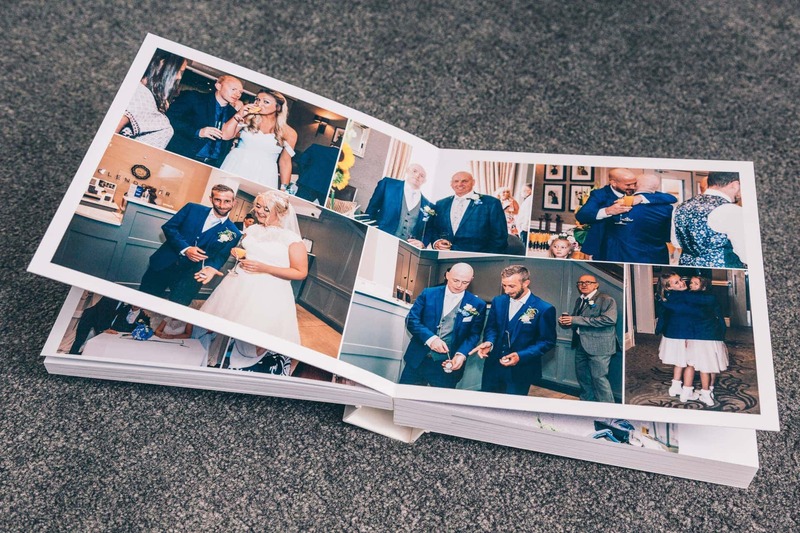 After your wedding day is over, your dress is dry cleaned and hung away and all your little keepsakes are stored in a box it’s nice to be able to pick up your treasured album and revisit the best day of your life. 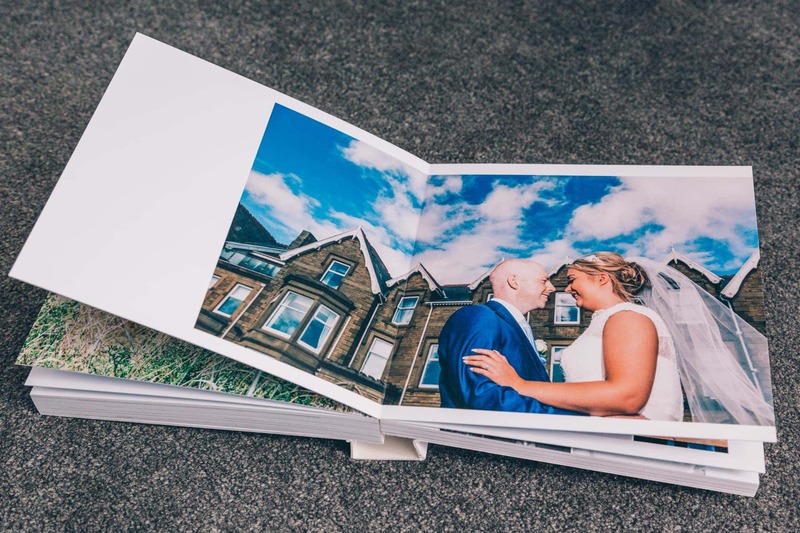 Albums are an important part of my philosophy and I won’t photograph a wedding without providing an album. 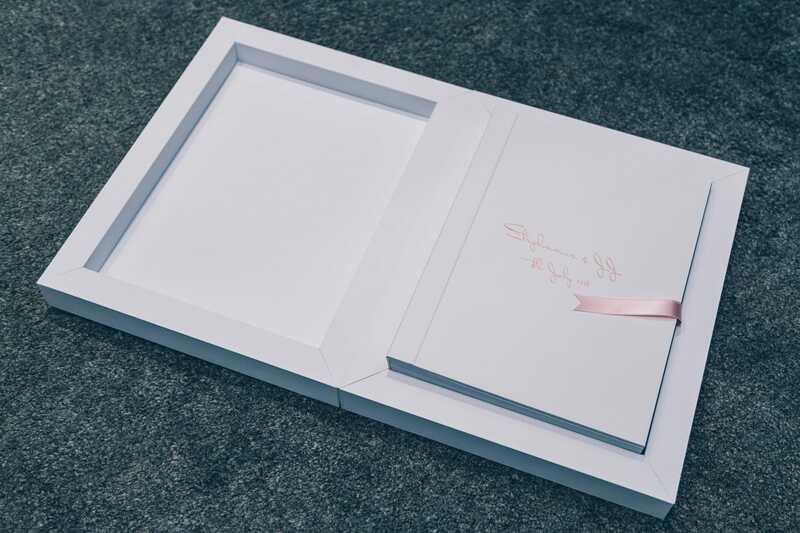 There’s no better way to have your day preserved for years to come – another chance to relive your day, this time with something really special; your very first family heirloom. 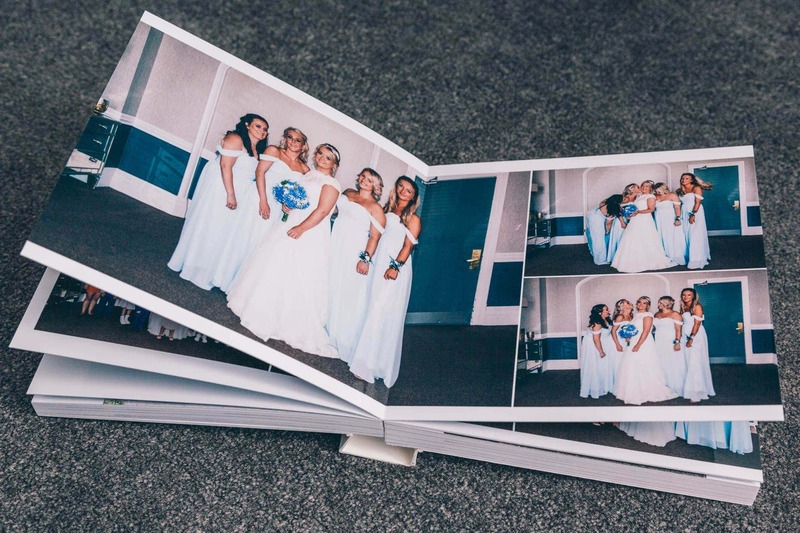 Yes, it’s a little difficult to believe you could forget moments from your special day but the truth is memories fade over time. 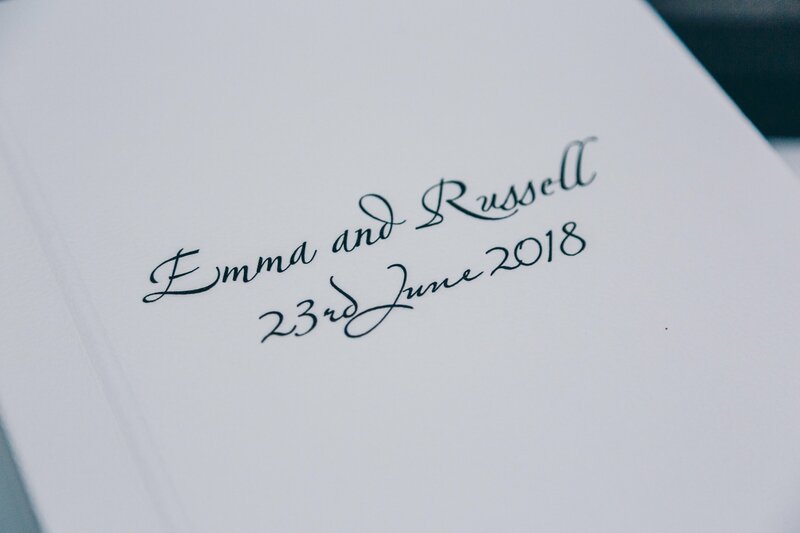 Whilst the memories and emotions you felt whilst you said your vows will remain, you will forget those other moments that made your wedding day unique. 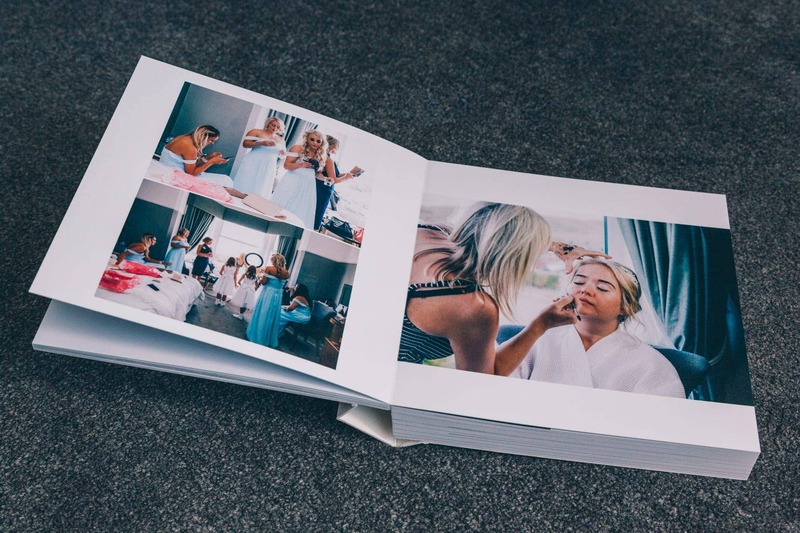 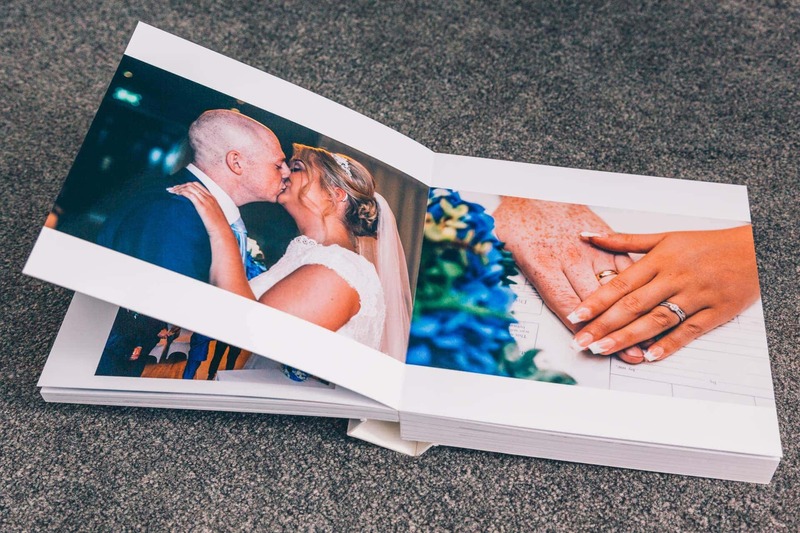 With your wedding album, you can relive your day as you remember the emotions, the forgotten little moments, from the fragrance of your beautiful bouquet to the taste of your wedding cake and precious events like your niece kissing you on the cheek. 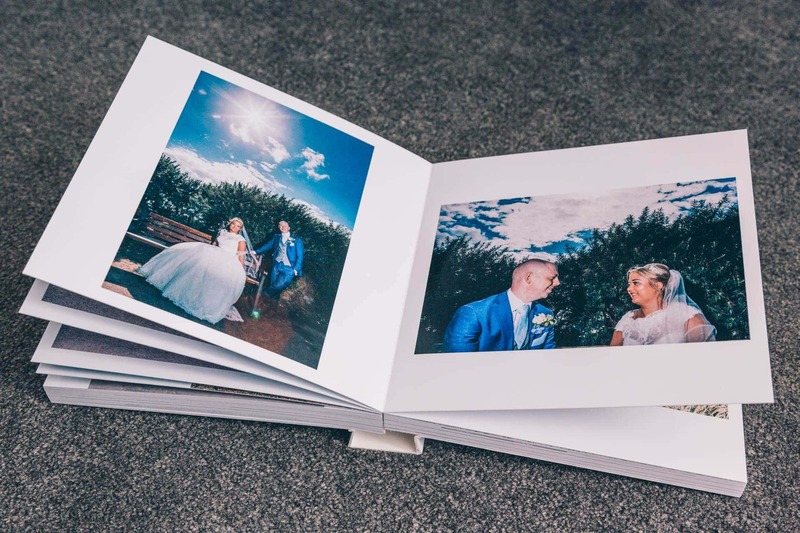 Whilst we live in a digital world and store all our images and important documents on our phones, tablets and computers, it’s important to remember that the devices, the CD’s and Pen drives we use can become broken or lost – even stolen. 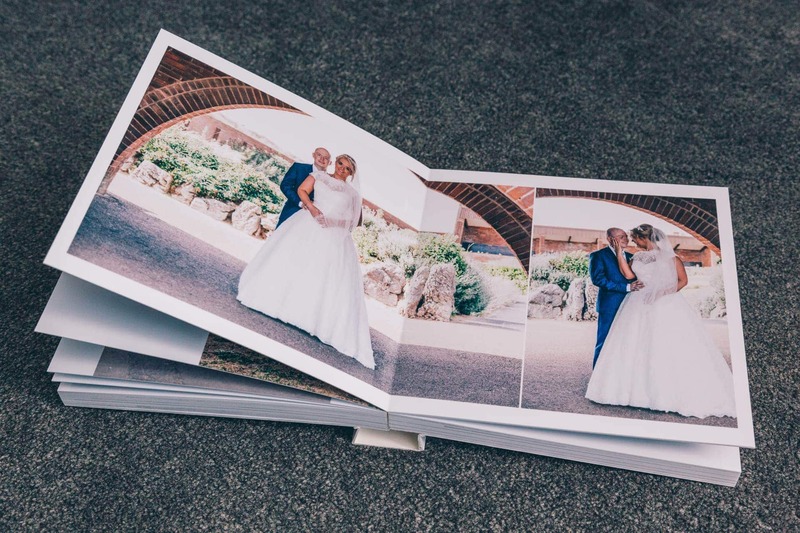 By all means have your images stored on these devices as backups and I highly recommend storing them in the cloud, something like Dropbox is great, but this isn’t totally reliable. 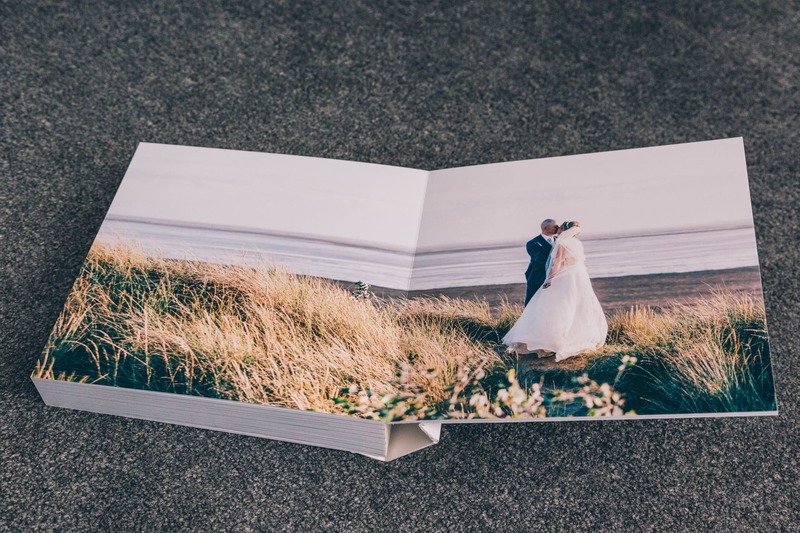 Try asking a couple who’ve been married for a few years now, who had their wedding recorded on VHS and you’ll see the pitfall of advancing technology. 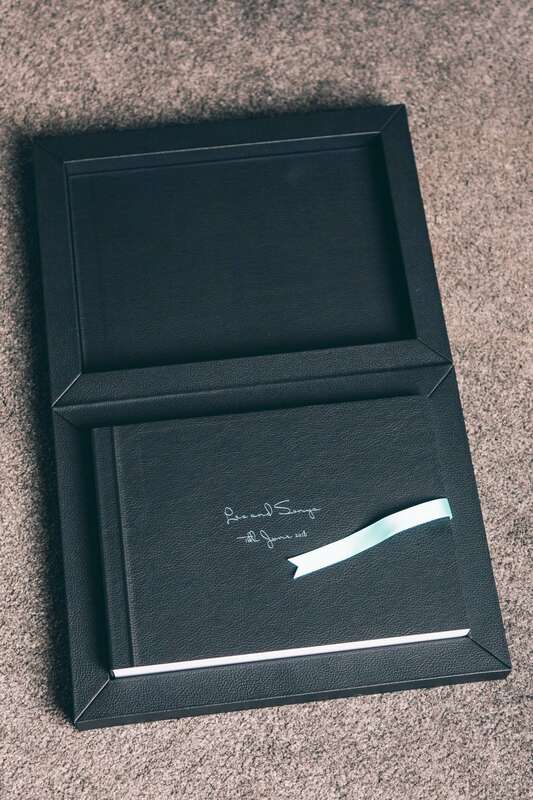 Even the DVD’s and CD’s we were using just a couple of years ago are becoming useless as many people now don’t have the means to play them. 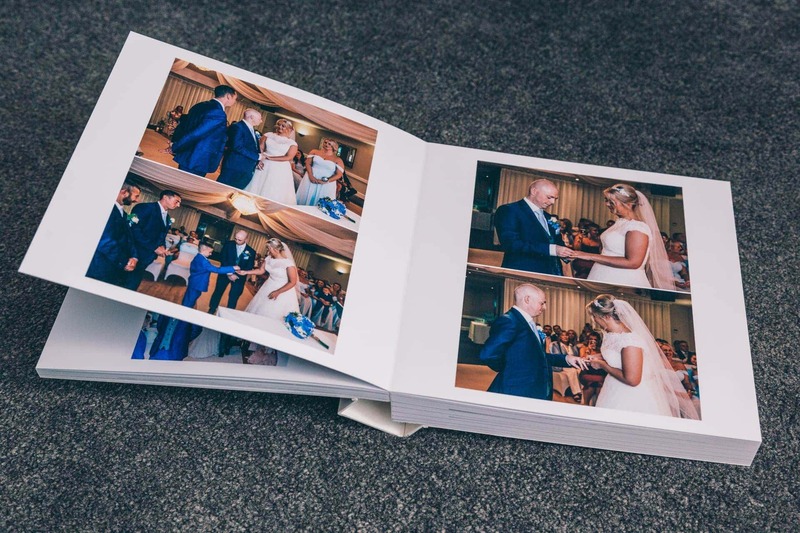 Whilst many couples will have planned to transfer those images from CD’s to something more modern, many never get round to it. 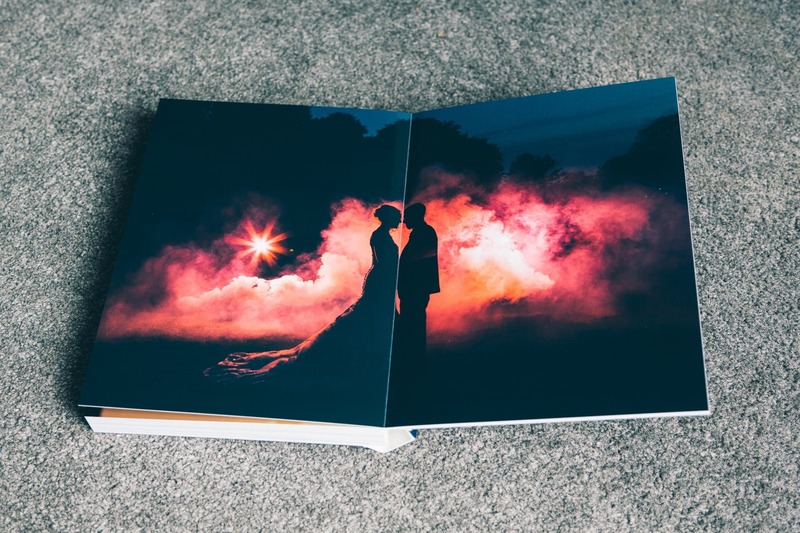 Please don’t let that be you. 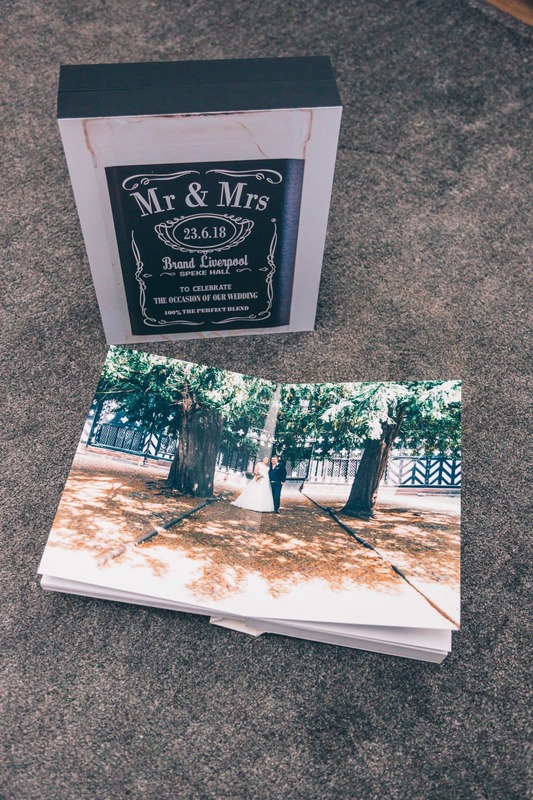 If there is one thing that is certain, it is that the wedding album has been around for a long time. 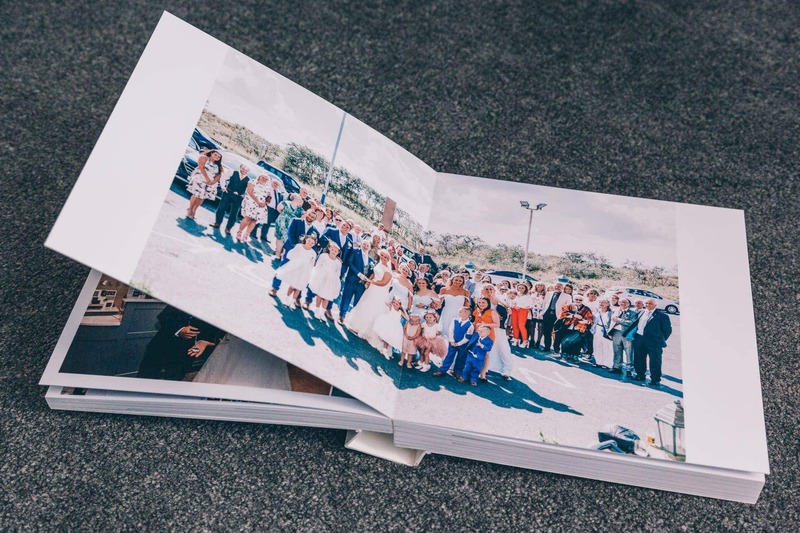 By having a wedding album, you can be sure your memories are preserved no matter how much things may change technologically. 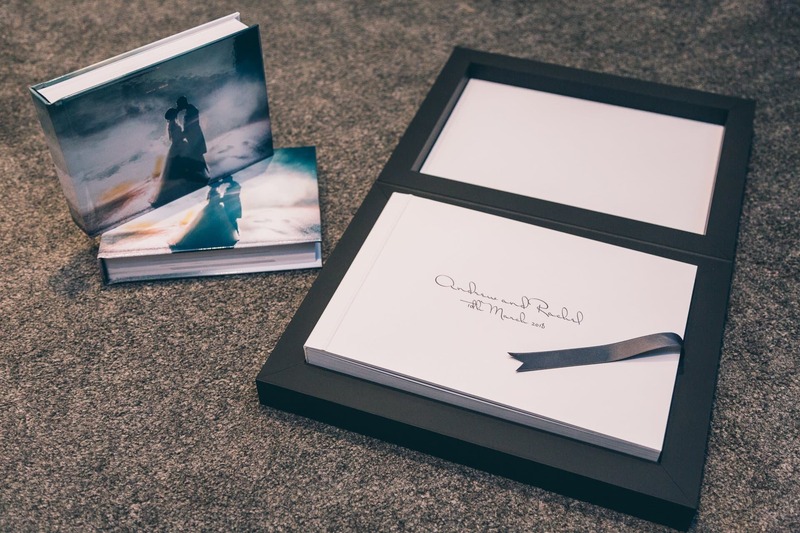 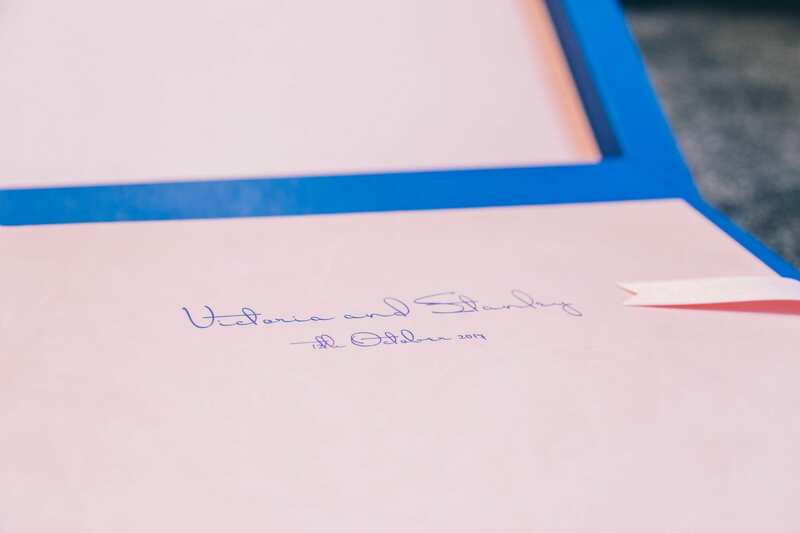 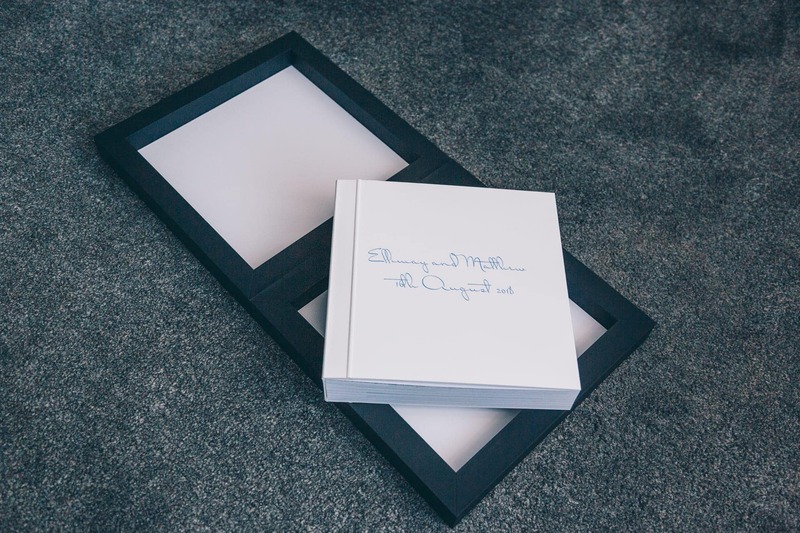 One of the great things about your wedding album is that it can be made personal to you. 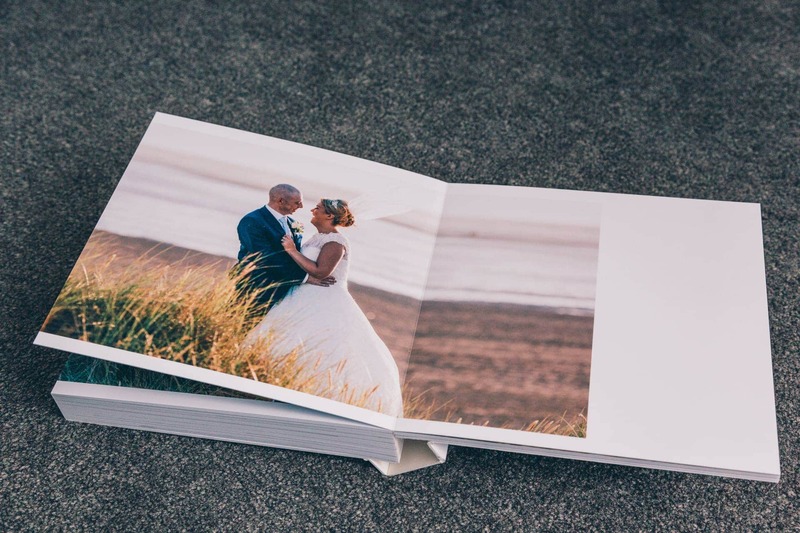 There are leathers, linens, touch, acrylic and more to choose from, they make a big difference in how your images are presented. 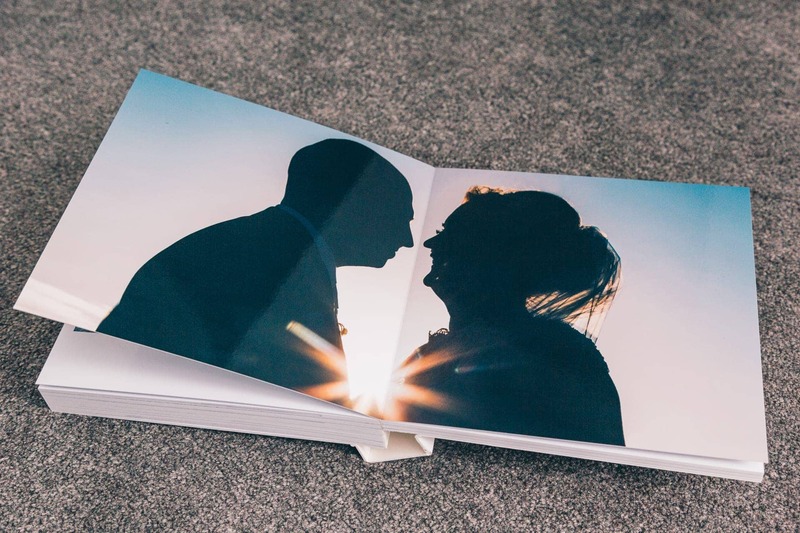 Some can be personalised with a favourite image on the cover or your shared name and special date. 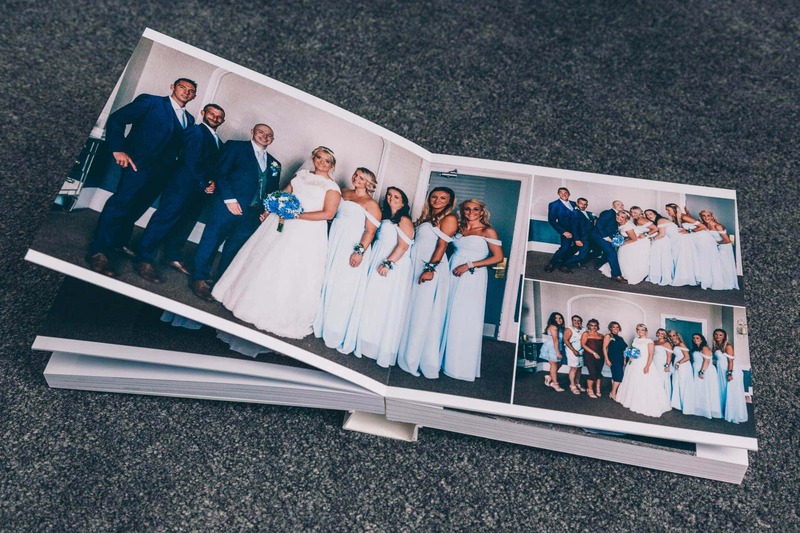 Colours can be matched to the ones you chose for your special day to finish it off. 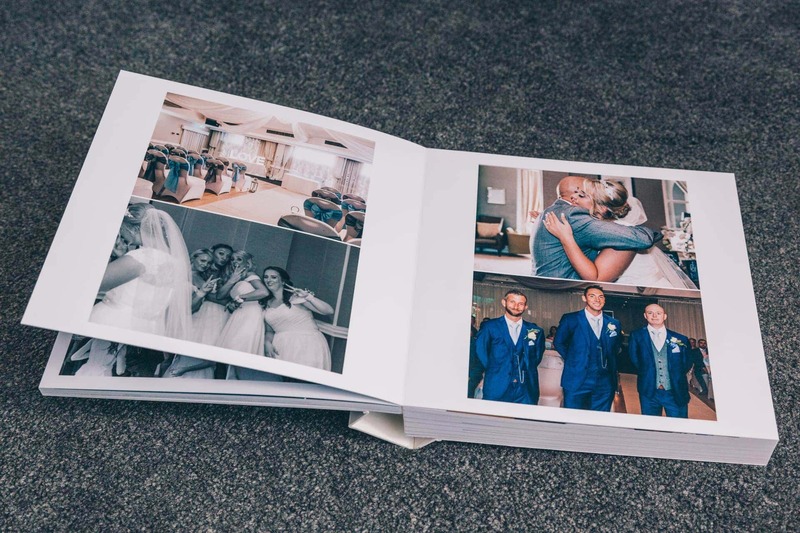 When you or your family and friends are going through your album they will enjoy the story of your wedding day. 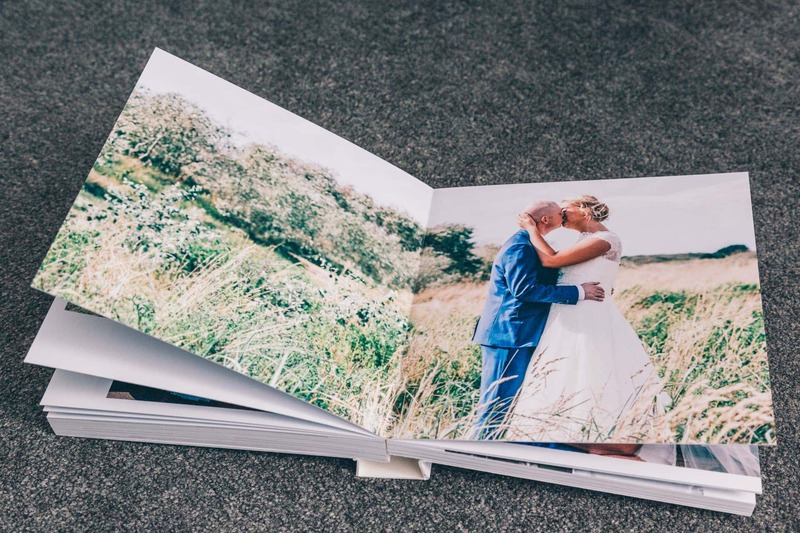 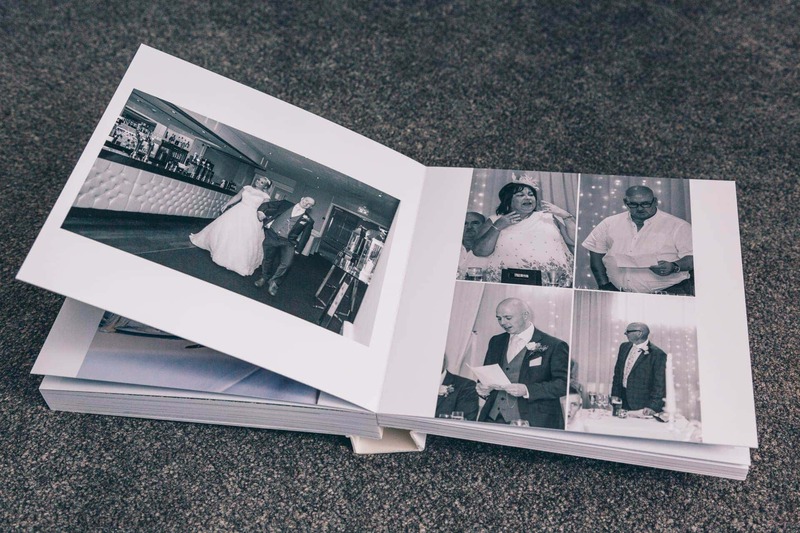 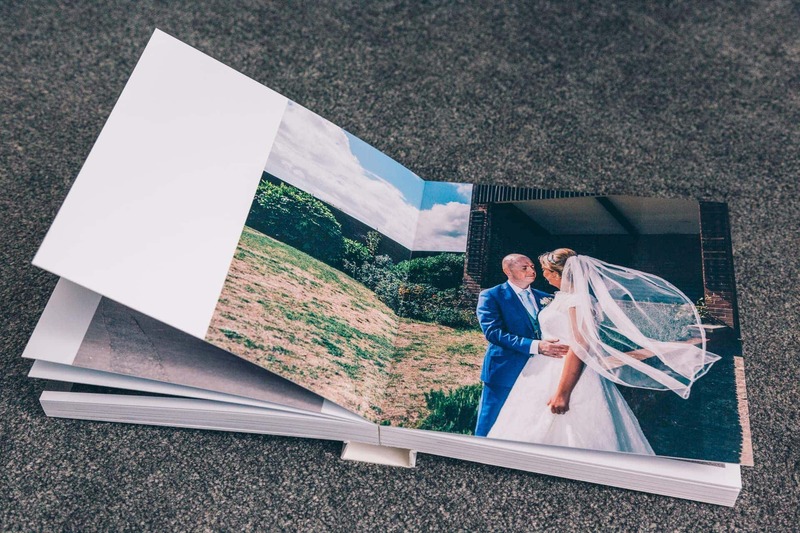 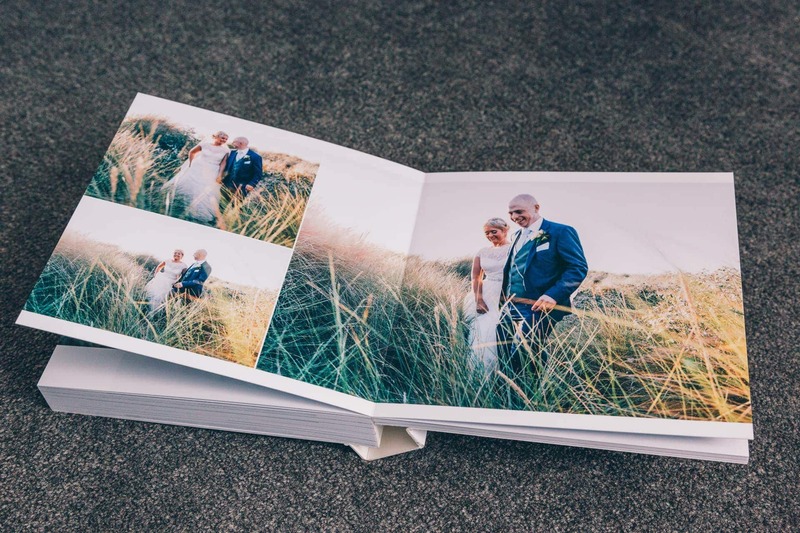 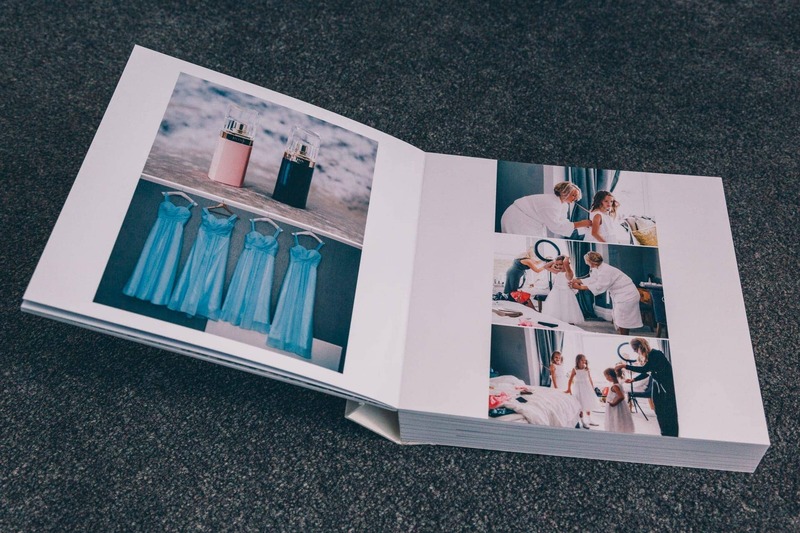 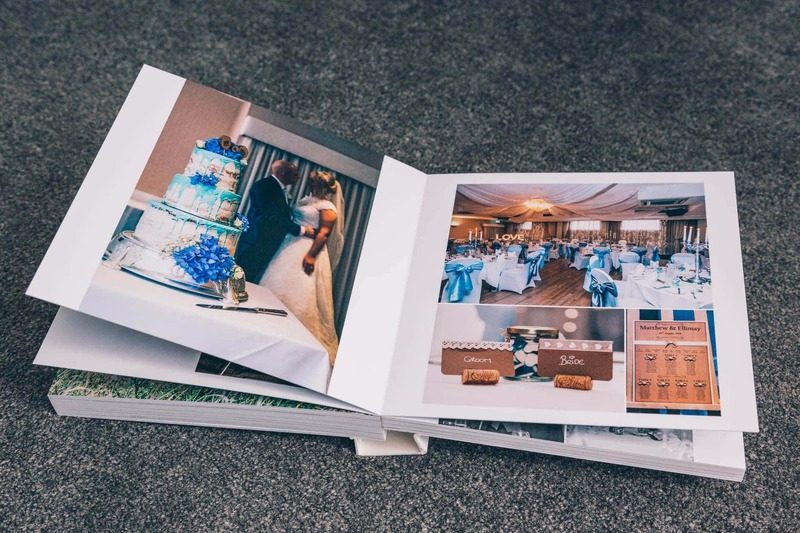 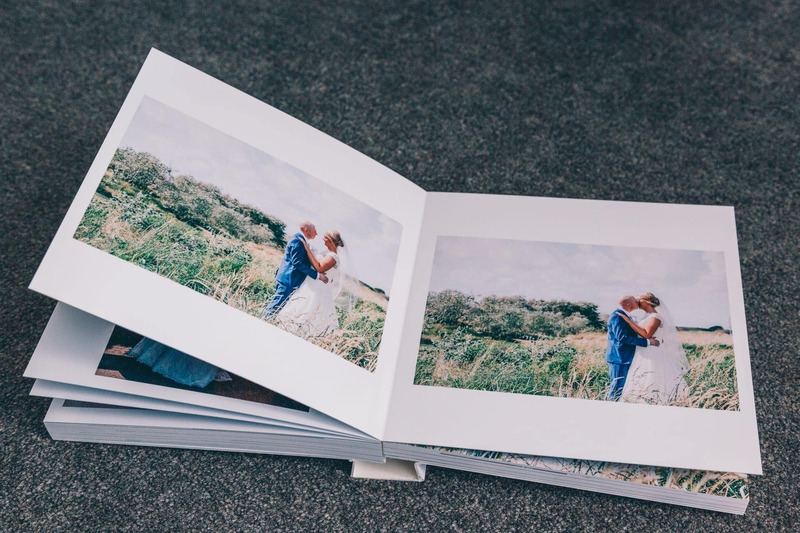 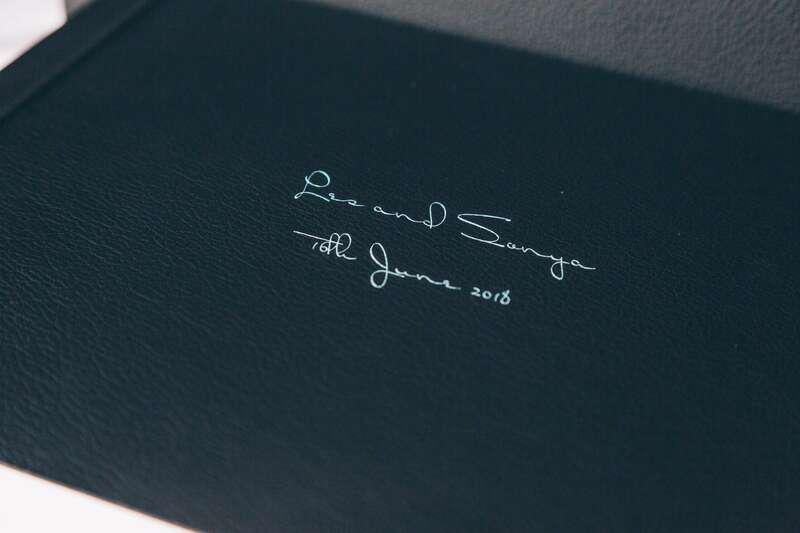 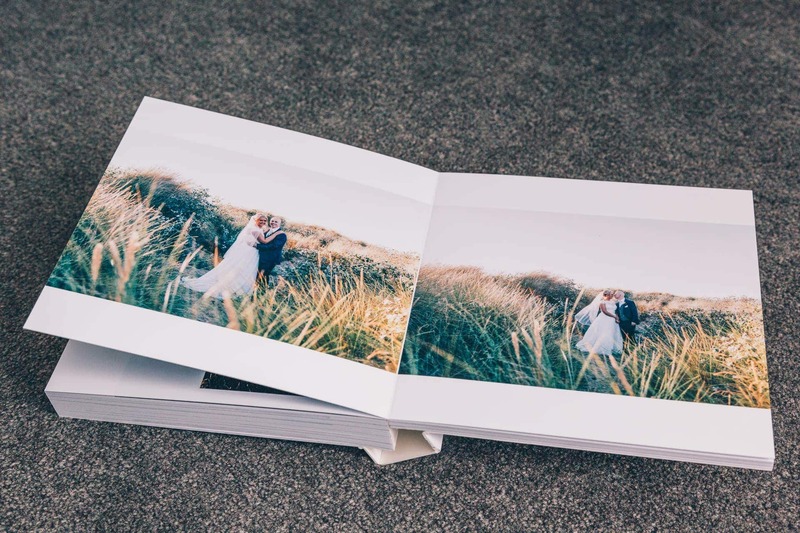 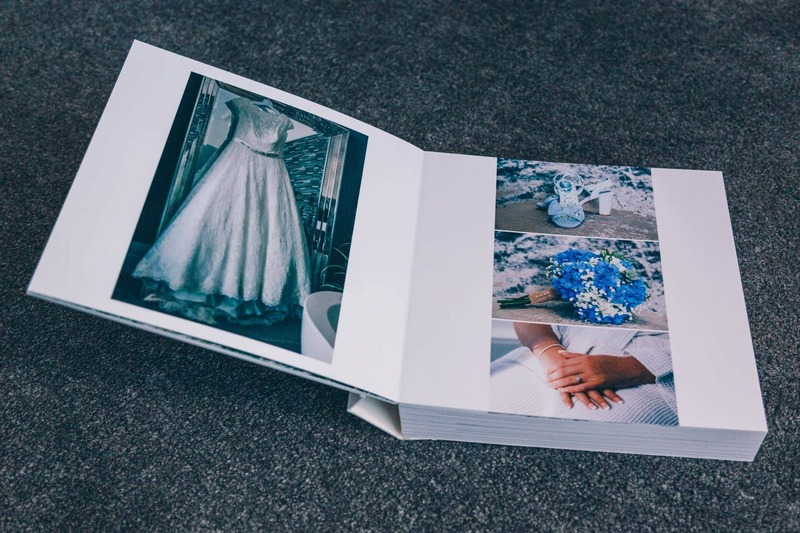 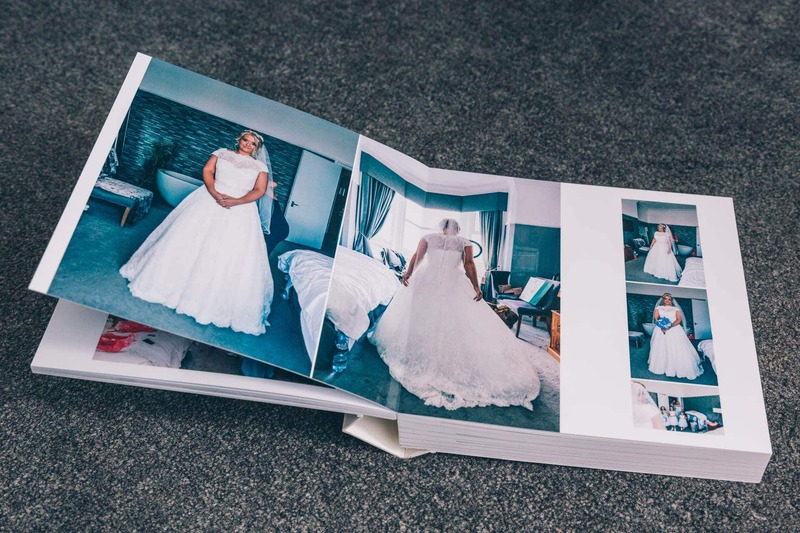 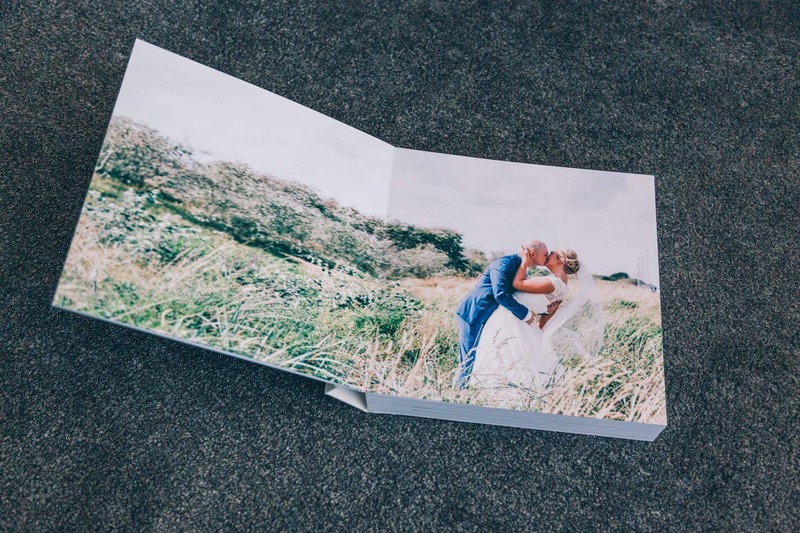 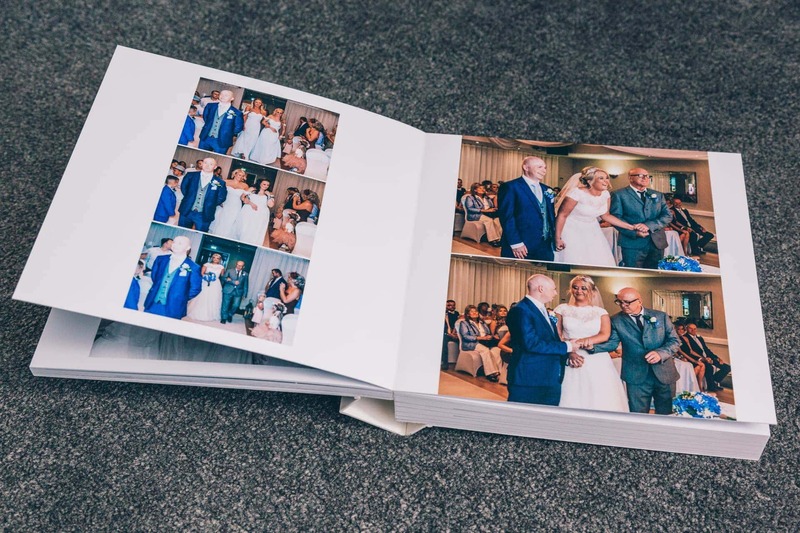 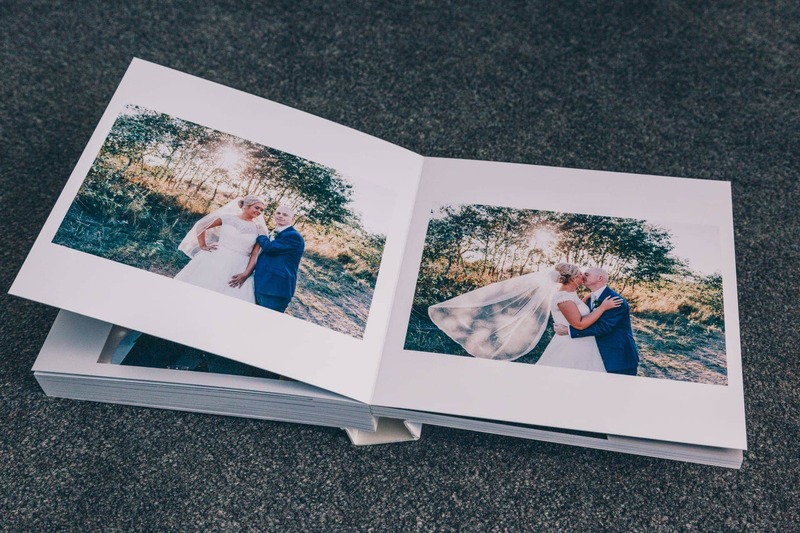 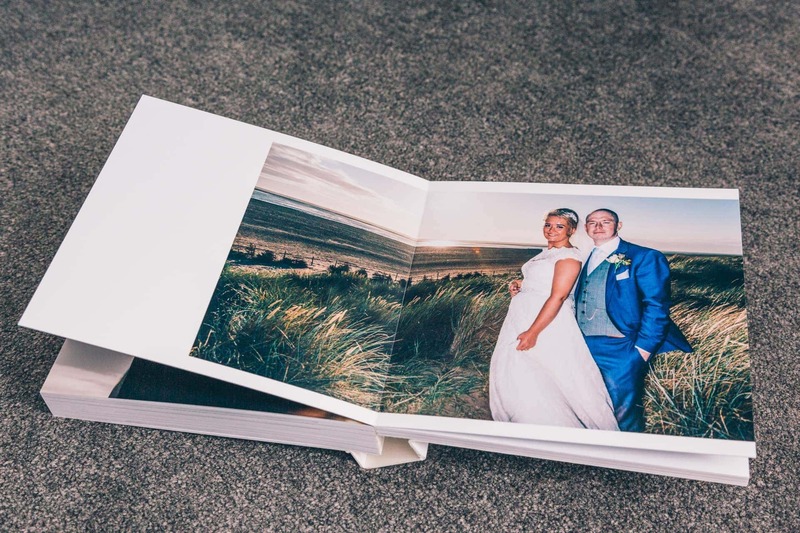 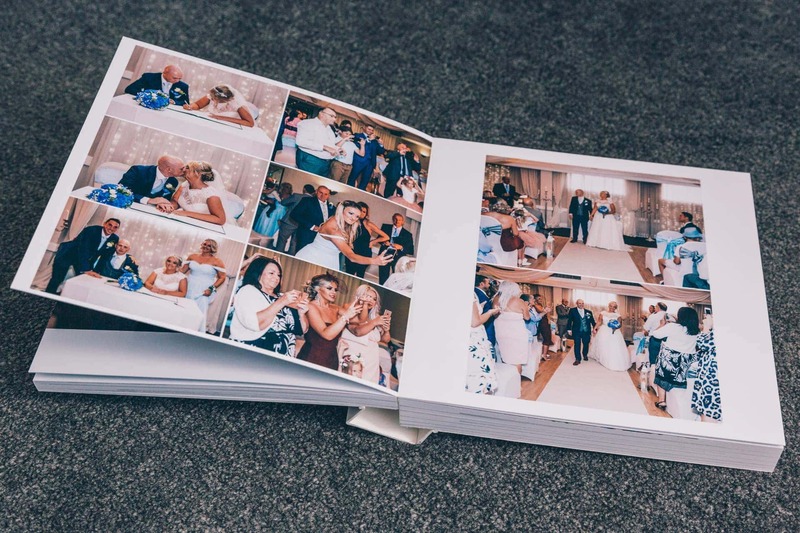 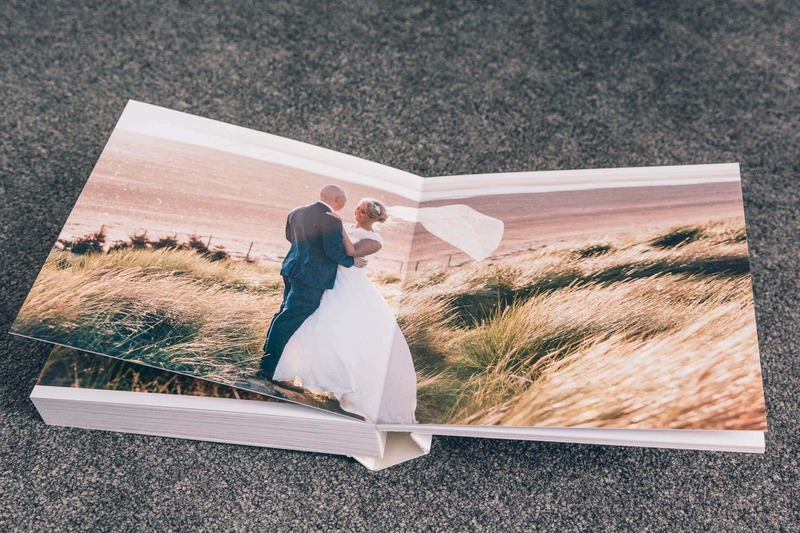 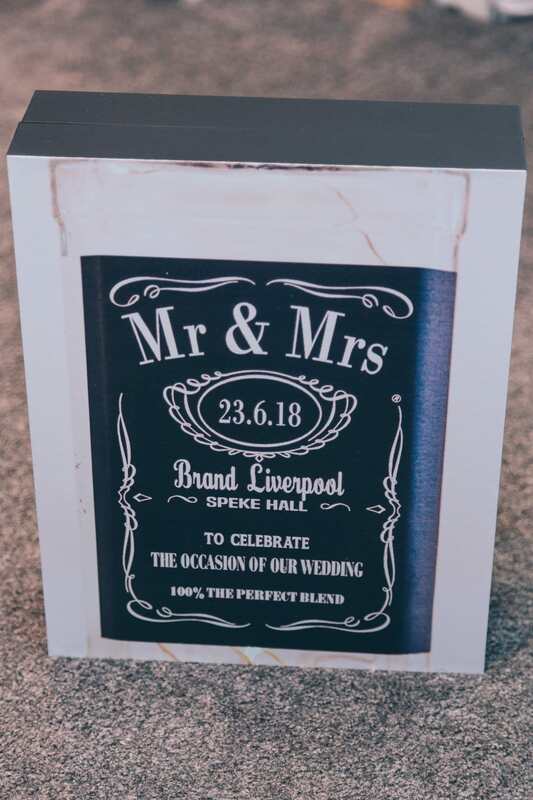 Framed images and snapshots provide a glimpse into a specific moment, however an album provides a complete view of your special day from the start until the end. 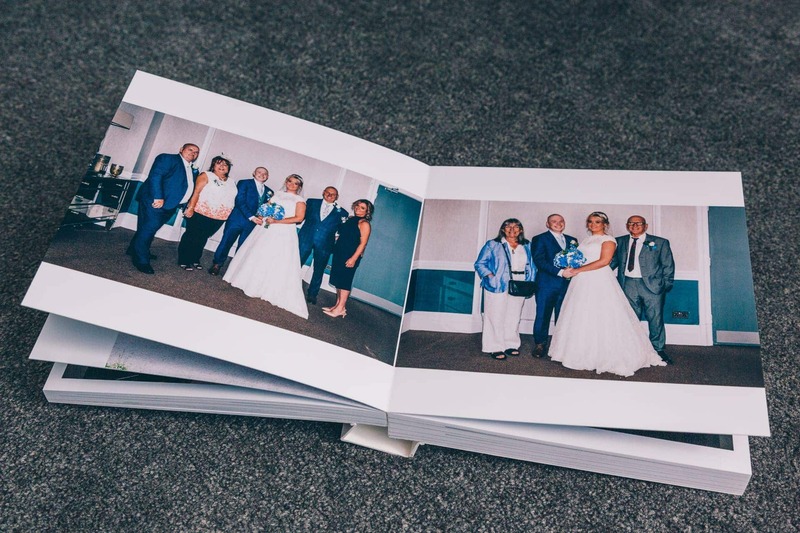 Wedding albums are an essential record of a family’s history. 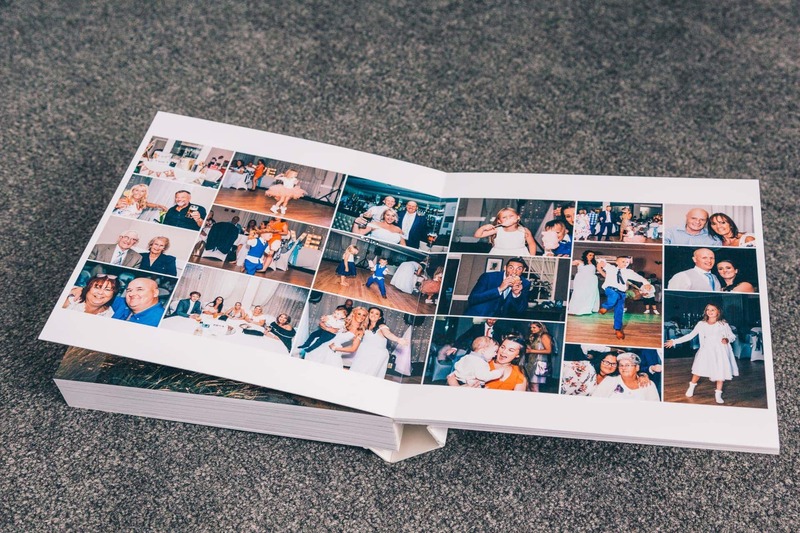 Nowhere else can someone find so many authentic images of relatives engaged in a day full of happiness, fun and romance. 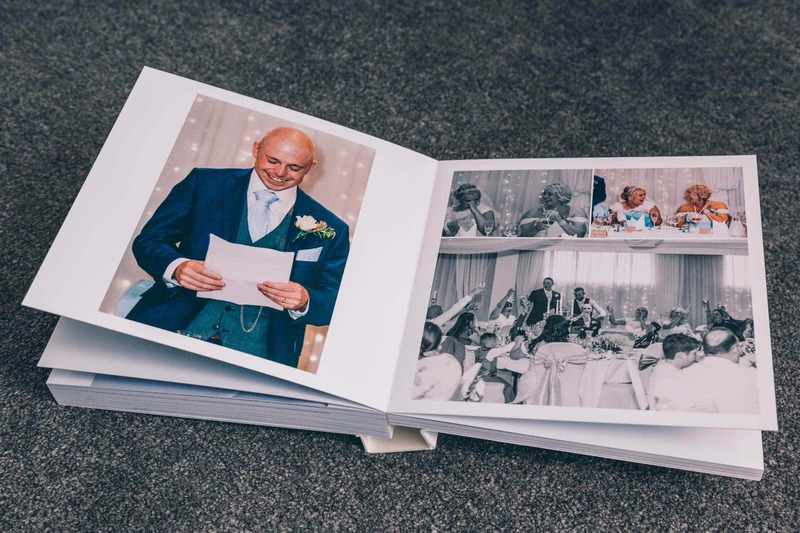 With your album you’re contributing to your family history which your future grandchildren and their children are going to love looking at. 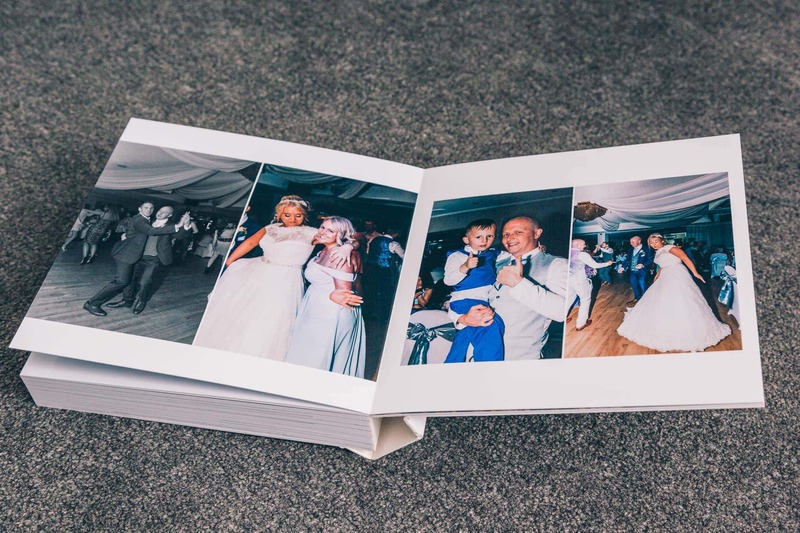 Also available now are smaller versions of your album; parents albums. 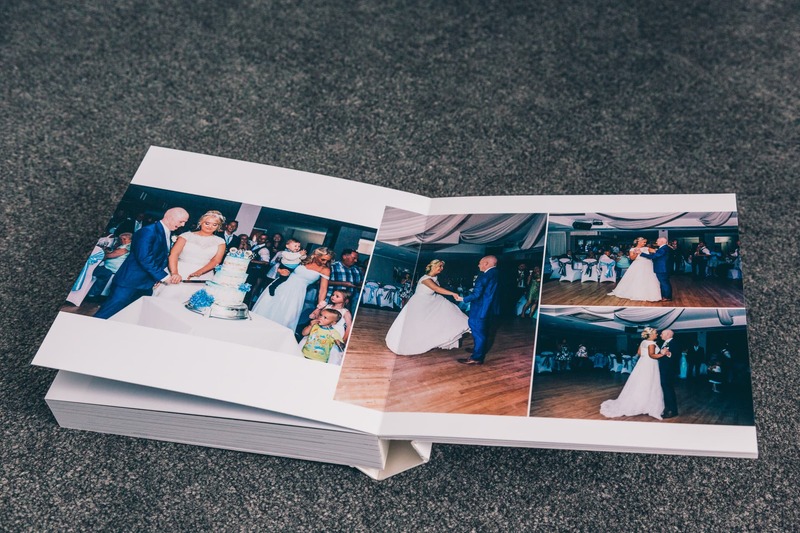 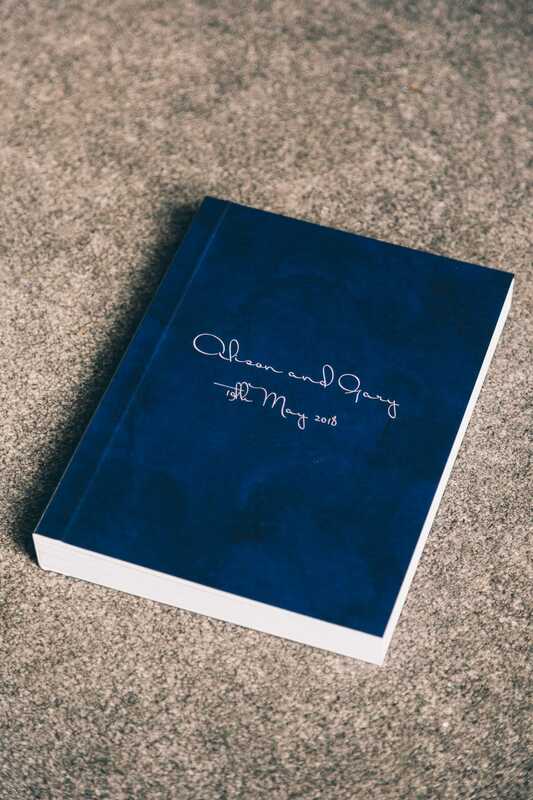 Many parents love to receive their very own album of their son or daughter’s wedding day. 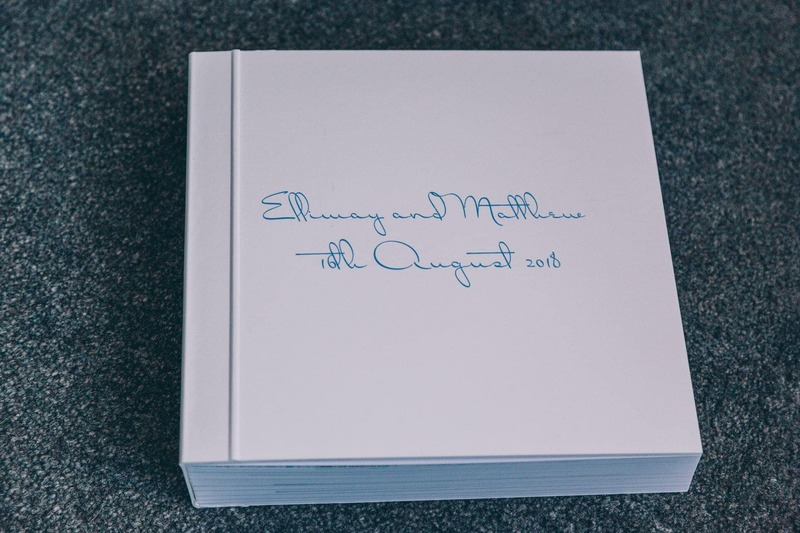 They love being able to pick up their own album to look through time and time again. 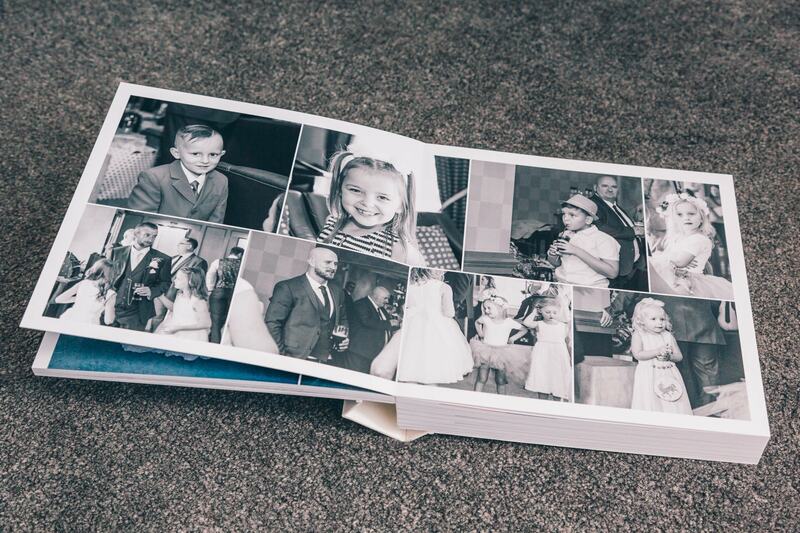 However, that’s not all, smaller copies to accompany the parent’s albums are also available. 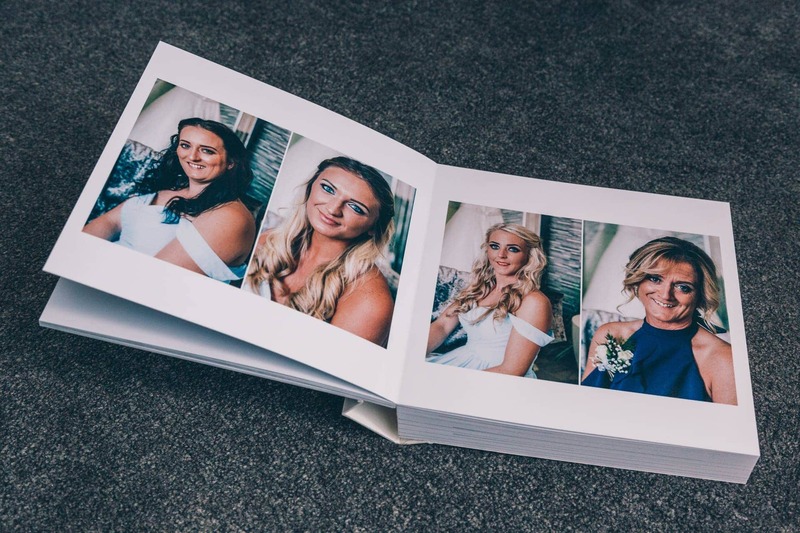 These are ideal presents for bridesmaids etc. 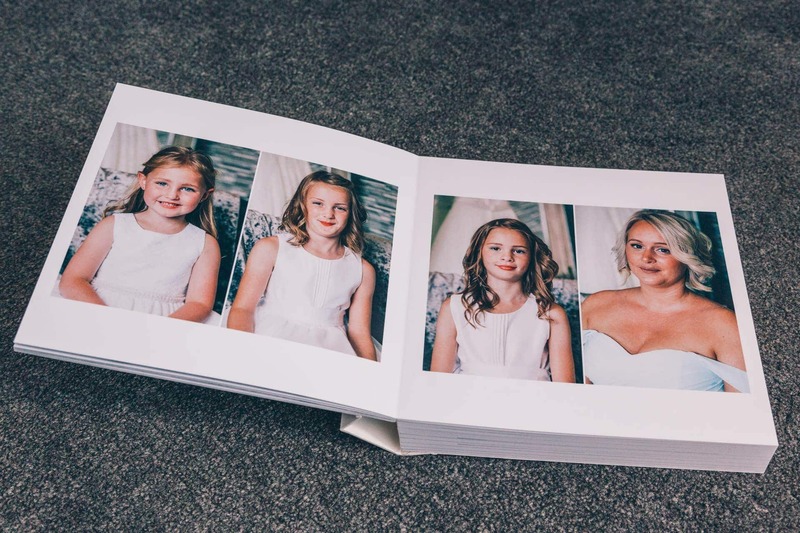 and fit in your handbag too!